Visit Norwood Animal Clinic in Milwaukee and Waukesha County WI! Your local veterinarians in Milwaukee. Our team is committed to educating our clients in how to keep your pets healthy year round. Norwood Animal Clinic stays on top of the latest advances in veterinarian technology and above all, remembers that all animals and pets need to be treated with loving care in every check-up, procedure, or surgery. Our staff Is committed to making the veterinary visit as pleasant as possible. 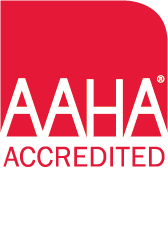 We are an AAHA-accredited veterinary hospital. That means we hold ourselves to a higher standard. Pets are our passion. And keeping them healthy is our #1 priority. Here, we strive to deliver excellent care for pets. Because to us, a healthy pet is a happy pet. Norwood Animal Clinic is pleased is to provide a library of professionally written articles updated by practice experts and reviewed by practitioners to bring you the most up-to-date, trustworthy pet health information. It is our mission to treat each pet as if they are a member of our own family. We practice respect, courtesy, empathy and responsibility on a daily basis. It is these characteristics that set us apart from other clinics as we want your entire experience with Norwood Animal Clinic to be beneficial to you and your pet. Learn more about the exceptional services that we have to offer. We are currently welcoming new clients to our practice in Milwaukee, WI. By joining Norwood Animal Clinic we guarantee that you will not be disappointed with the level of service you will receive. To get started simply get in touch with us! You can call or email our clinic and one of our friendly staff members will be more than willing to help you.